The fifth round of the Polish Rally Championship looks very spectacular. At the start of the 27th Rzeszów Rally there will be forty teams that will compete in the RSMP classification. The stake is high! Rzeszowski Rally will be on of two double-scoring rounds. Rallytechnology will support as many as five crews, three of them in R5 class cars and two in R2 class cars. Spectators gathered along the route will particularly look for Łukasz Habaj and Daniel Dymurski, who come back to the Polish special stages after a year-long break. During the penultimate weekend of July, Polish champion from 2015 took part in the round of Europe Championship, Rally di Roma Capitale, which was for him a great preparation to the Polish classic. Habaj and Dymurski are among the main candidates to the victory in Rzeszowski Rally. Zbigniew Gabryś and Artur Natkaniec will start in this rally in a twin car. In the previous round of Polish Rally Championship – Silesia Rally – they finished third. Will they finish in the top three also this time. Also Dariusz Poloński and Łukasz Sitek have an appetite for a big point gain. Poloński feels at home on the routes around Rzeszów, which he proved last year, winning the rally in the 2WD class. This year the duo will compete on special stages in Ford Fiesta R5. Rallytechnology team will also be strongly represented in class 4. The leaders of class 4 and 2WD, Kacper Wróblewski and Jacek Spentany, will put on their Peugeot 208 R2 bib number 26. Grzegorz Bonder and Jakub Gerber will start with number 28. The fight against time on the stages around Rzeszów will commence already on Friday with a special stage Blizianka. The first crew will be on the track at 10.40. Less than an hour later, spectators will be able to cheer the competitors at a classic stage Lubenia (22.47 km). Both those stages will be driven twice. The competition on Saturday will end with a 4-kilometer stage Rzeszów. 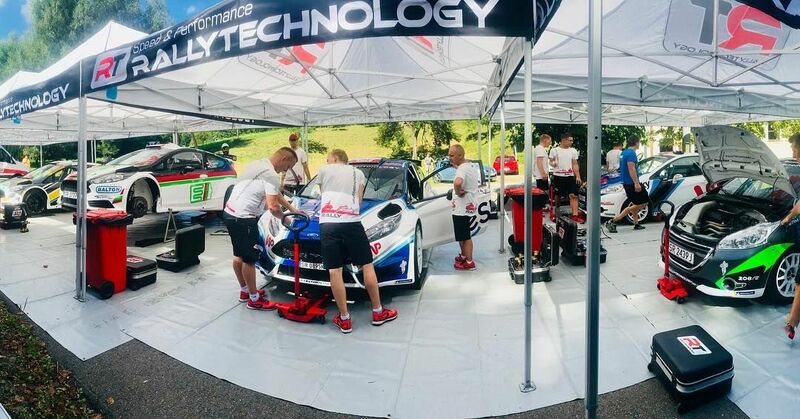 Altogether there will be siv special stages during the second day of the rally, including the longest one, almost 26-kilometers long special stage Pstrągowa. After that the competitors will hit the stage Brzeziny (8.62 km) and Zagorzyce (12.12 km). The winners of the rally will be known after 4 p.m.